Three Injured in Rear-End Collision Along South State Road 7 | Schuler, Halvorson, Weisser, Zoeller & Overbeck P.A. 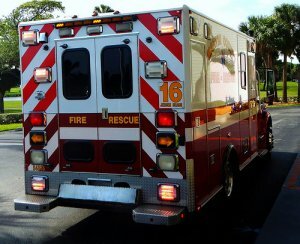 EMS rushed three people to the hospital with fatal injuries after a rear-end collision along South State Road 7, in Wellington. Emergency services were on the scene of a fatal crash involving a crossover SUV and a semi-truck. Additionally, a heavy police presence was spotted on the northbound lane of South State Road 7, close to Taco Bell. Crash reconstruction detectives worked feverishly at the scene of the accident that left one of the vehicles heavily damaged. The crash began when a 39-year-old driver of a Nissan Venza traveled northbound on South State Road 7. Subsequently, he lost control of his vehicle and crashed into a parked semi-truck. A spokesperson for the Florida Highway Patrol said police clocked the semi exceeding speeds of 60miles an hour before the crash. Three occupants of the car sustained fatal injuries. The 39-year-old driver of the car suffered a few broken ribs and head trauma; paramedics immediately placed him in an ambulance on the scene. Officials revealed he is in a stable condition at the moment. Meanwhile, the two other passengers in the car sustained varying fractures and paramedics rushed them to the hospital for treatment. “The car was a total wreck, I didn’t believe anyone would still be alive in the car,” said John Grover, a passer-by who witnessed the crashed. Officers of the Florida Highway Patrol are investigating the cause of the crash; however, they do not believe alcohol contributed to the crash. Authorities advised drivers to adhere to the speed limits at all times.